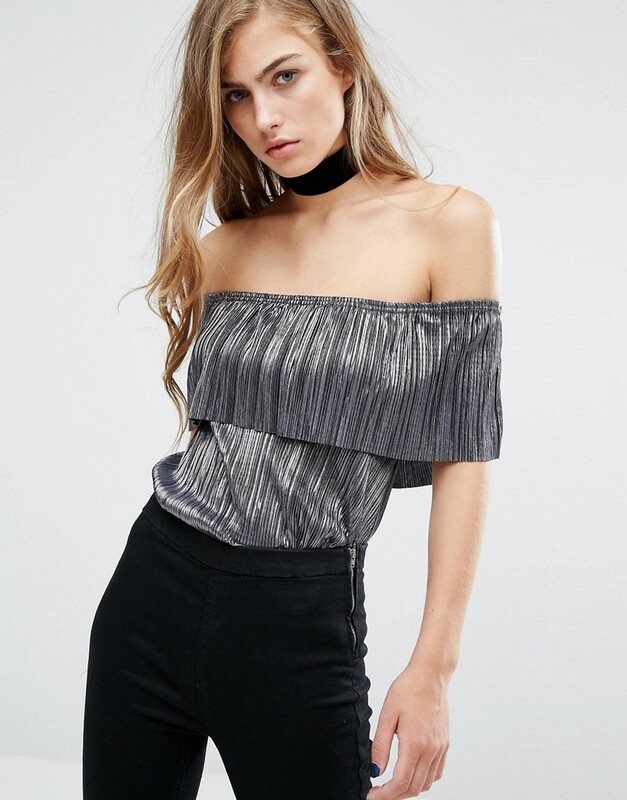 Top by Miss Selfridge, Metallic plisse fabric, Crinkled finish, Bardot neck, Stretch fit, Frill trim, Regular fit – true to size, Machine wash, 100% Polyester, Our model wears a UK 8/EU 36/US 4. ABOUT MISS SELFRIDGE Miss Selfridge takes you from day to date night with its off-duty looks and full-on glamour. Solve what-to-wear dilemmas with its dresses and accessories that combine inherent femininity and an impressive attention to detail.